Enjoy a complimentary 1 hr Massage or Facial every month! Becoming an Earthbody Member is the best way to enjoy unlimited monthly treatments. Come in once a month or once a week and always receive the exclusive member rate on every treatment we offer. Now it’s even easier to stay grounded, connected, and stress-free with regular care for your bodymind. Make the Most of Your Earthbody Membership! Upgrade your massage! 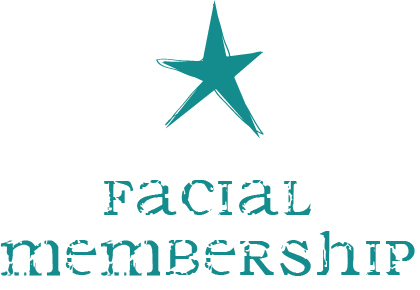 Try the Reflect Holistic Facial, Couples Massage or Ritual for a deeper session. Or simply trade your massage to experience a new treatment like Craniosacral or Reiki. Stressful months may call for weekly treatment. Earthbody Membership allows you unlimited treatments always at the member rates. Members can receive treatment anytime Monday through Friday with any therapist. Schedule online, on our mobile system or just give us a ring. Blackout dates apply. 12 month commitment required. Complimentary sessionsdo not roll-over. Member rates and complimentary sessions are available Mon - Fri ONLY. Membership dues are charged on the 1st day of each month. If you sign up late in the month, keep in mind that you'll need to redeem your massage benefit by the end of the month and your membership for the next month will be charged on 1st.